Hello. My name is Oscar Bernardo Reyes Real. I’m a full time professor and researcher at the Colima University. It is the University of the State where I currently live. I was born in Manzanillo, Colima, and I live there. 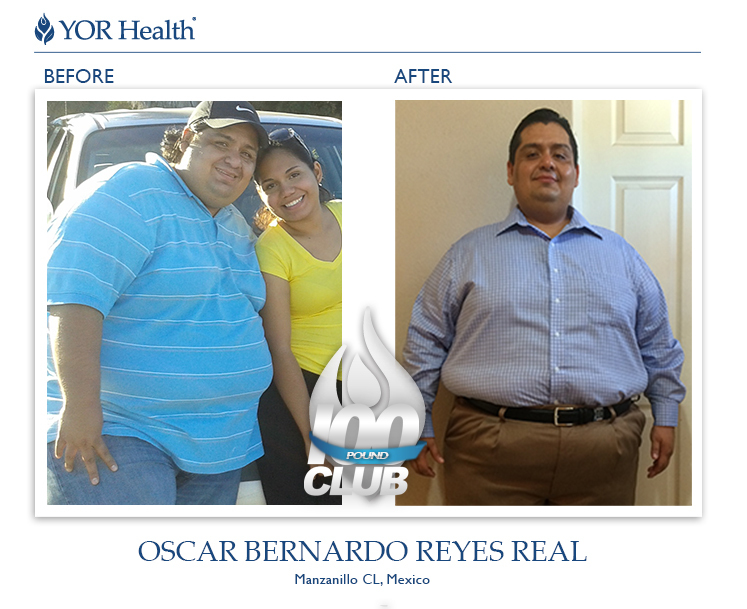 This is my story with YOR HEALTH. During 2013, many of my former students (who are actually YOR HEALTH promoters) invited me to meetings where an opportunity to change my health would be open for me. However, curious enough I asked them what it was about, but I never got an exciting answer for me to assist. Months passed, and now they were bringing this project to me through social media, like Facebook. They shared the video with me several times. I watched it I don’t know how many times, however, because of my arrogance, I never saw this great opportunity, to the contrary, I felt rage and anger. So I thought, “I am going to do it on my own.” And that’s how many battles came, in which I always lost. 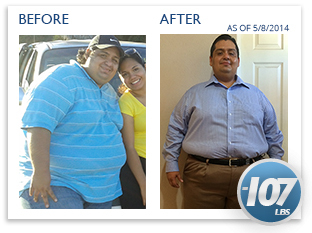 I started, with the support of my wife, to follow a diet, another one, another one more, without having any results. It was the opposite, the scale hated me. It was then that I thought what if I undergo surgery?? Could the gastric bypass be an option? By then, I already knew about it through some of my friends who had undergone this surgery, and they certainly had some weight loss results. This is how I obtained some information and the phone numbers to learn more about this surgery. So I decided to have the operation done, to literally cut my guts. After knowing about the investment I had to do, around 130,000 Mexican pesos or around 10,000 US dollars, and finding out about the 20% chance of losing my life during the surgery, I didn’t know what to do. I was really desperate, I only had left two patched pair of jeans because of they had worn in the crotch by walking and three shirts also worn for being constantly washed, without clothes of my size at stores not even in the USA, getting angry every time I got dressed because I didn’t like what I saw in the mirror, feeling tired all the time, having insomnia, seeing my spotted face, feeling pain on my knees, and with countless physical issues caused by my obesity, an already morbid obesity. Weighing 190.9 kg/421 lbs in October 2013, I didn’t know what to do, life was just passing by. However, there was always this thought in my head, what’s going to happen to my life? What about my wife? What about my family? It was really awful. However, in the first days of that month, one night, for the umpteenth time, someone sent me the YOR Health video. I saw it on Facebook and I turned my head to my wife, we were lying on the bed and I told her, “Do we watch the video?? What can I lose?” When the video ended I felt this emotion, something I believe it was hope. I turned, saw my wife, and I decidedly told her, “Let’s do it, what’s the worst that can happen to me? That I lose my money? And if I gain health, I gain it all!” And that’s how the YOR Health adventure began.